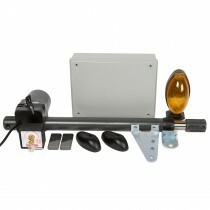 The Leader is a 230v standard ram configuration electric swing gate operator. 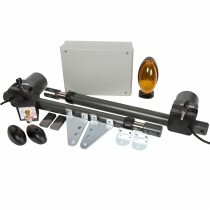 It can be used on inward opening gates and is handed - meaning a left-hand motor can only be used on a left-hinged gate. It has a duty cycle of 40% meaning it is suited to single property domestic use. The Leader offers deft control and means it can be used to automate wooden gates (when reinforce and braced) as well as more common metal gates. 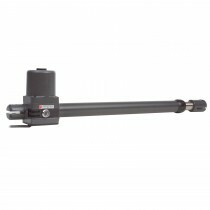 The Leader is designed for quiet operation and is made to be long-lasting and robust. Proteco only use quality materials in our motors and this is why we offer a 3-year warranty as standard.